IRISS polymer safety windows are high quality products designed to offer maximum safety and utility. Use of Infrared Windows Helps Eliminate Risks Associated With Live Inspections The first rule in any health and safety situation is the elimination of risk and heavy Personal Protection Equipment (PPE) should always be the last resort. 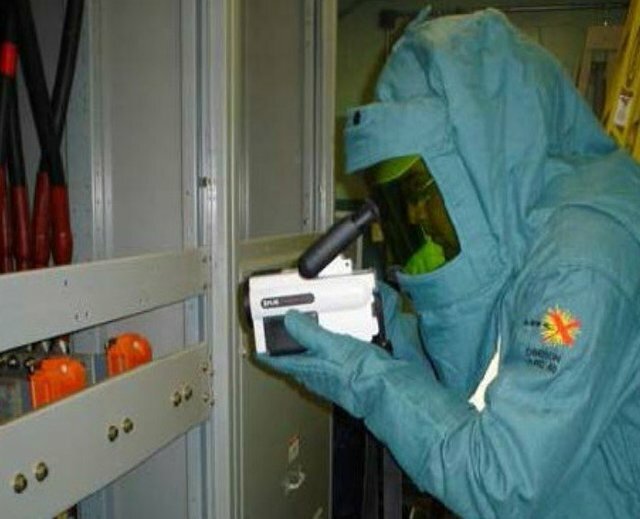 The use of infrared (IR) windows in any thermography program eliminates the risks associated with live inspections by ensuring that thermographers are not exposed to any energized components and can complete the infrared survey with minimum disruption to plant and services in standard workplace PPE. By ensuring live IR inspections are completed safely by one operator, you can expect better ROI on IR cameras and reduced risk of premature failure of plant through more frequent inspections. The materials available for infrared window optics are diverse and have a wide variety of transmission rates and mechanical strengths. It is advisable that when considering the use of IR windows, you seek advice from IR window manufacturers and IR lens material suppliers before deciding the materials and window styles best suit your application. UL50V: The UL standard that applies specifically to infrared windows. UL508 and 508A: Are classifications for components used on electrical panels. UL746C: Is a standard requiring flammability and impact tests for polymeric materials used on electrical equipment. IEEE C37.20.2 Section a.3.6: Is the impact and load requirement for all viewing panes installed on mediumand high-voltage switchgear (above 1kV). Ingress Protection Standards: Certify that an enclosure is capable of sealing out various levels of environmental contaminants. IP65 and NEMA 4 are equivalent standards indicating protection against dust and water ingression. Original IR windows were produced using Aluminum constructed housings and used Calcium Fluoride, Barium Fluoride and Sapphire crystals as the IR window lens materials. These were both round and square depending on the application. Aluminum IR window covers and bodies were superseded by plastic to enhance the safety of the product by ensuring that the assemblies were non-conductive. This also allowed the product to be mass produced and allowed the unit costs to be reduced. Products still used Calcium Fluoride, Barium Fluoride and Sapphire crystals as the IR window lens materials. Further investigations into relevant standard showed IRISS that there was a lack of understanding in what standards were applicable to IR windows, especially surprising was the fact that UL only certified to 1500Volts! We decided to build a window that could pass the requirements for a standard viewing pane fitted to electrical switchgear as stipulated by IEEE C.37.20.2. This test was completed by supporting the IR polymer with one plastic IP2X grill in front of the polymer, this also ensured that in the event of a lens failure the window would always fail safe!! The VPFR IR window became the first and only IR window in the world to give an IP65/NEMA 4 IR lens assembly to meet this standard. As a further enhancement to the successful VPFR range of IR windows IRISS superseded the plastic reinforced grill with a plastic coated Aluminum grill and subjected the assembly to the test standard UL746 C, this tested the lens flammability and impact resistance of the lens at 0°C, the lens system easily passed this test and is the only IR window lens system that holds this certification in the World. IRISS decided to further improve our VPFR range of IR windows by using 2 IP2X Aluminum grills, effectively sandwiching the polymer lens to produce a lens assembly that is able to resist constant impact from a 5lb hammer, passed the UL 5 inch flame test, has excellent IR transmission, is resistant to water, light acids and alkalis and is guaranteed for the life of the installation. In short the IRISS VPFR range of IR windows is the “ULTIMATE IR WINDOW SOLUTION” on the market today. 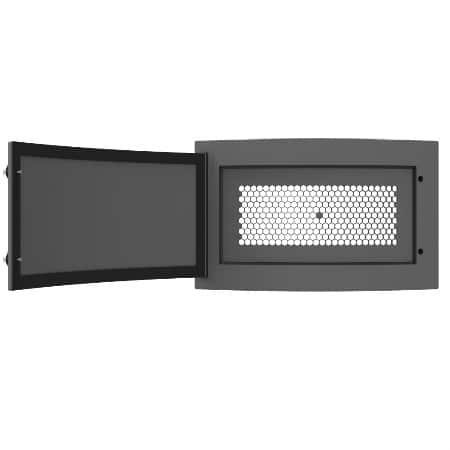 IRISS upgraded the VPFR Series design by reinforcing two IP 2X grills. This effectively sandwiches the polymer producing a lens assembly able to resist constant impact from a five pound weight and pass the UL5 flame test, unsurpassed to date. IRISS launched a range of IR-ID labels for emissivity reference points. The VP-12-US (Ultrasound Port) is a 0.5 inch ultrasound port with an attached cover that can be used alone or in combination with IR windows. Recognizing the industry needed IR windows with a better field of view (FOV), IRISS developed and began manufacturing the CAP Series. Available in 6in, 12in and 24in, the expanded FOV allows inspection of multiple components through one window, reducing installation time and costs. IRISS is the first company to design, fabricate and assemble IR windows in various custom sizes, shapes and colors. Custom solutions as large as 60+ inches in length are being made to retrofit switchgear across the country. Released the VPIC Series featuring an internal cover providing superior protection in environments where dust and debris are a mitigating factor. IRISS received certification from UL and ABS across all new and existing IRISS product lines. Released the Platinum Series featuring the Poly-View System, the industry’s first and only clear polymer lens allowing visual, UV and short/mid/longwave IR spectrum inspections. 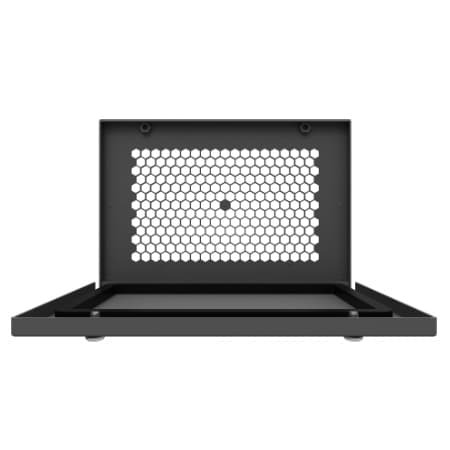 The industrial-grade optic allows for a larger field-of-view and boasts a Fixed and Stable Transmission – far superior to crystal windows. IRISS knows working SMART is not hard. This is why we founded the Safety and Maintenance Academy of Reliability Technologies training academy for electrical maintenance staff in the correct use of available tools and techniques to ensure safety and reliability. IRISS received official US Patent on all IR window polymers and reinforced grill designs. Optional Private Label and Easy-Grip cover added to the product lines. Private Label permits your logo and packaging on our state-of-the-art patented technology. IRISS, Inc. builds a 32,000 ft. world headquarters in Bradenton, FL featuring a fully integrated LEAN manufacturing plant with state-of-the-art computerized production equipment. In addition, R&D will continue to advance electrical safety industry standards with a high-tech lab. The Safety and Maintenance Academy of Reliability Technologies supports 80 students and provides hands-on, interactive, accredited certification training. iriss.comThe Evolution of the IRISS Infrared Viewing Pane Tech Byte IRISS is the only industrial-grade IR window manufacturer to receive formal CSA certification to the C22.2 No. 14-13 Industrial Control Equipment – 11th Edition Canadian standard. Unlike any other IR window manufacturer, all the components of the entire line of IRISS IR windows now comply with applicable Canadian standards Class 3211 37* and U.S. standards 3211 97** for industrial Control Equipment SubAssemblies. IRISS releases CAP 4” infrared window to meet marketplace demand. The 4”CAP provides almost at 30% increase in field of view when compared to traditional round IR windows. IRISS revealed the CAP-4-US which is a combination Infrared window and ultrasound port to meet customer demands. The window unites the benefits of infrared and ultrasound in one easy-to-install window. IRISS rings in the New Year with the acquisition of New Jersey’s Delta T Engineering. Delta T Engineering represent the first acquisition for IRISS Group. Delta T Engineering predominately develops a wireless monitoring system designed to detect temperature increases and prevent electrical equipment failures within electrical enclosures caused by poor connections and overloaded circuits. IRISS IR window achieve internationally recognized DNV certification. DNV represents the largest maritime & offshore industry classification society and they confirm IRISS IR windows are ideal for the harshest environments. IRISS unveils new SMART training website featuring electrical safety training courses. The website features online, electrical safety training courses available in English and French for both electrical and non-electrical personnel.